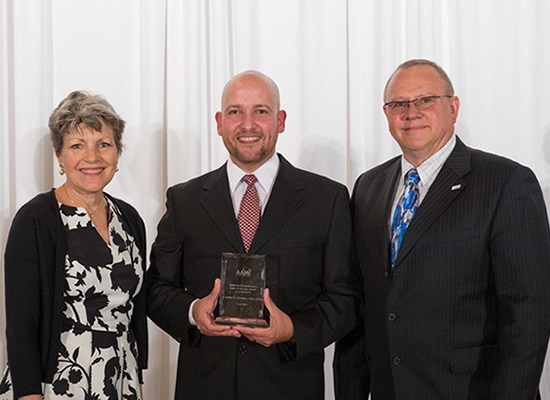 "This award is given to a biomedical equipment technician (BMET) in recognition of his or her individual dedication, achievement, and excellence in the HTM field. According to his peers, Villafañe has shown exemplary technical aptitude for general and surgical biomedical equipment. He also contributes to the growth and development of the field by mentoring students, publishing student oriented biomedical books, and giving presentations at local colleges and schools". Article by By A.J. Zak - Interview with Carlos Villafañe after winning the AAMI "BMET of the Year Award" for 2016. Interview by K. Richard Douglas on March 01, 2015. 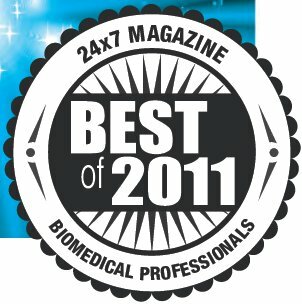 Selected as 24x7 "BEST OF 2011 Biomedical Professionals": 24x7’s annual profile of some of the industry’s top biomedical professionals. Article by K. Richard Douglas on October 30, 2015.